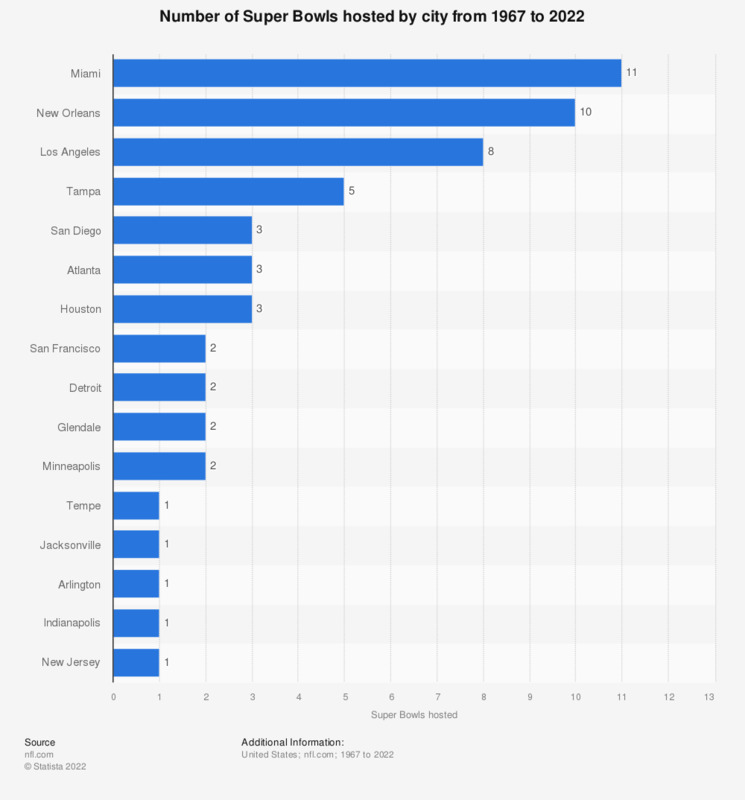 The graph depicts the number of Super Bowls hosted by host city from 1967 to 2019. Atlanta has hosted the Super Bowl three times. The Pittsburgh Steelers have the most Super Bowl wins of all NFL teams.